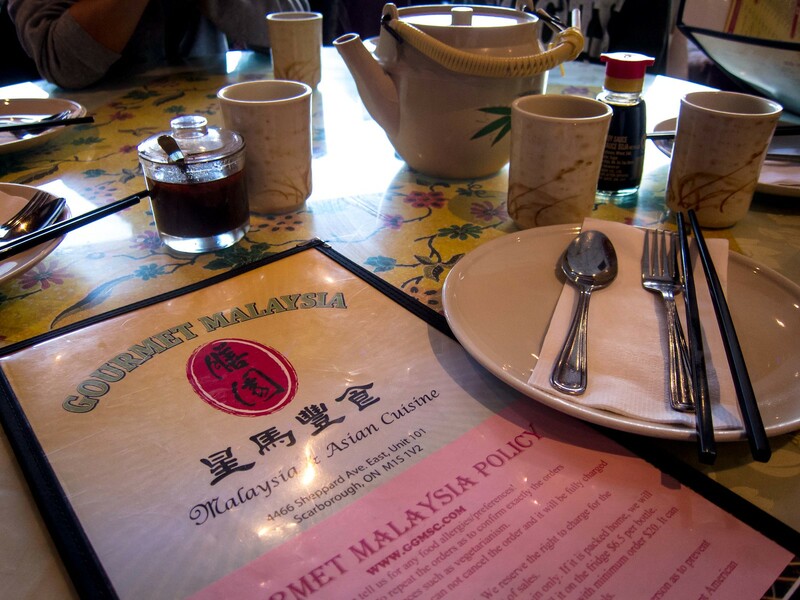 For the past two years, The Fiance has lamented about the closure of his favourite Malaysian restaurant and the loss of their famous “coconut shrimp”. After some serious time spent Googling, he found the dish on Gourmet Malaysia’s menu. 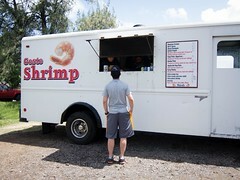 While the shrimp was close to our expectations, a number of other dishes were also hits. 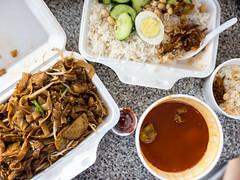 Atmosphere: Occupying the corner of a strip mall in Scarborough, Gourmet Malaysia was easy to find and their parking was available. Our group arrived just as they opened for dinner and tables filled up quickly. The interior decor was a bit dated and a stage was set up in one corner for karaoke nights. TVs around the dining room played karaoke children songs, that was kind of bizarre, and the volume fluctuated throughout the meal. A table filled with Malaysian snacks for sale was also set up near the front of the restaurant. Clearly, the restaurant is prepared for many uses. Service: Generally the service was standard with one hiccup. We had asked for three glasses of ice water (some of the dishes had heat) and this request was lost in translation. A poor server struggled to bring over three glasses of boiling water in plastic cups to our confused table, only for us to ask again for ice water. I can understand his frustration, but he very audibly “harrumphed’ and walked away without a word. My rating wasn’t affected. 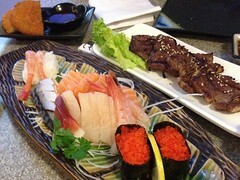 Food: In total, we ordered 6 dishes. 1 was disappointing, 2 were fine and 3 were outstanding. 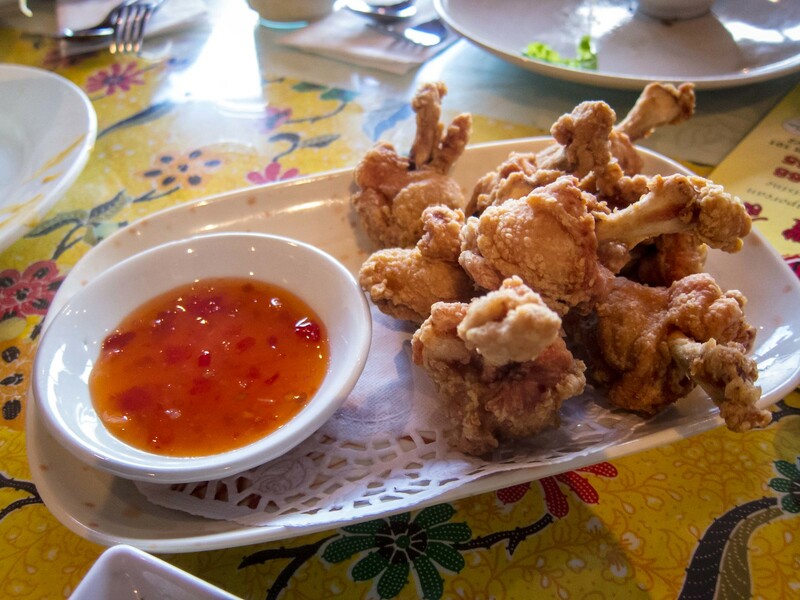 The plate of boxing chicken were drumsticks, butchered for a clean bone, deep fried and served with a sweet and sour chili sauce. 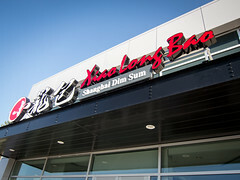 Although the menu states 6pcs for $5.99, our plate had 8 or 9. It’s a nice starting dish, but not special. 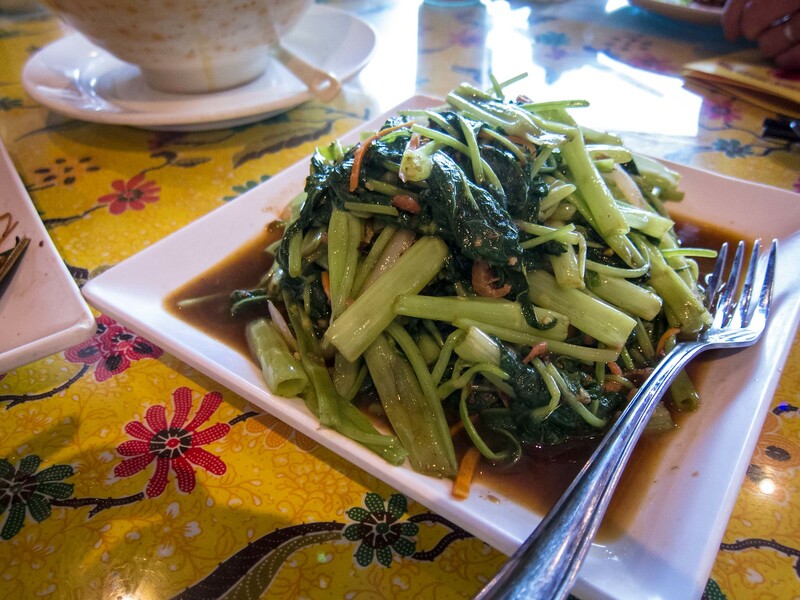 The plate of Tong Choy was a generous portion, tender and spicy. This was a solid dish and a good vegetable option. When the bowl arrived, it looked so promising. 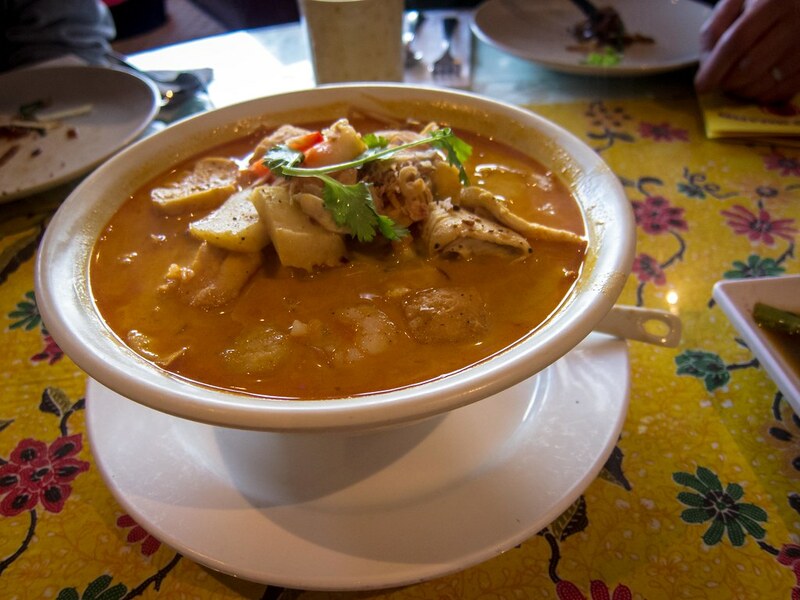 Rich, opaque broth with a deep colour and heaped on toppings. Sadly, the visual appeal didn’t translate to taste. While there were plenty of toppings (shrimp, tofu puffs, bamboo) and the thin noodles were cooked al dente, there was little flavour or heat. 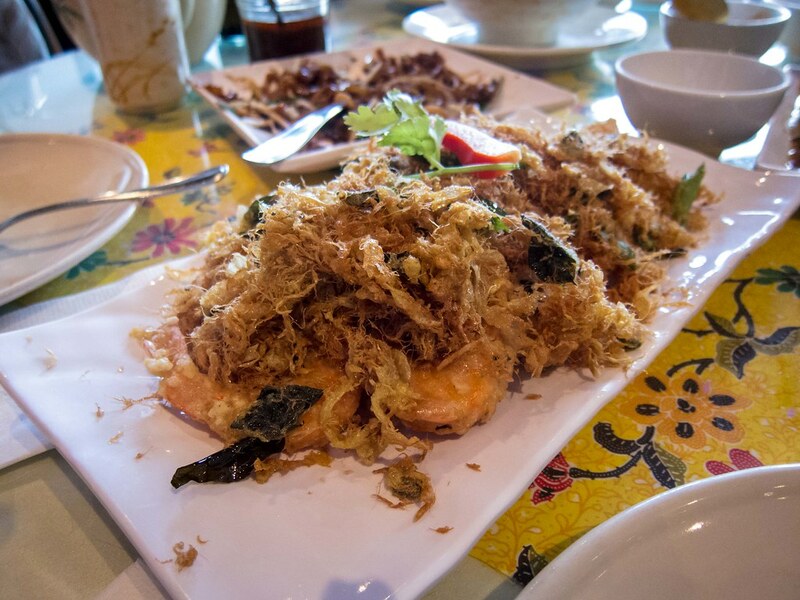 There’s two things to love about the Crispy Butter Prawns. First was the prawns themselves, fried with the heads on, tender, full of flavour and so so crispy. Second is the fried egg string topping. This topping makes the dish and I’d happily pay for it by the bucket. It was crispy, not oily, savoury and just delicious. 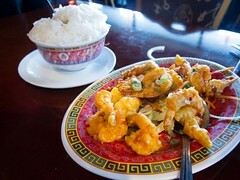 Just order this dish (unless you’re allergic to shrimp, but even then, how allergic are you?). 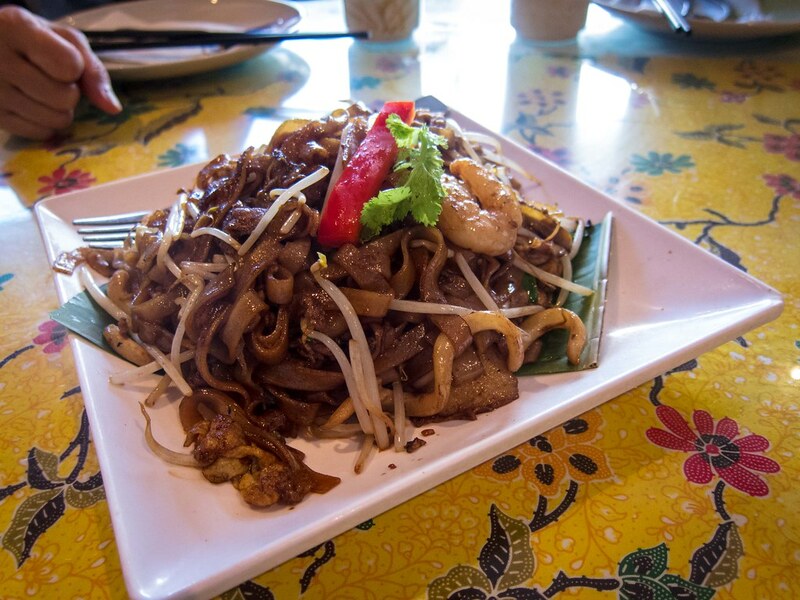 The Penang Char Kwei Teow, fried flat noodles, had great wok air and was well seasoned. Again, I couldn’t get enough. 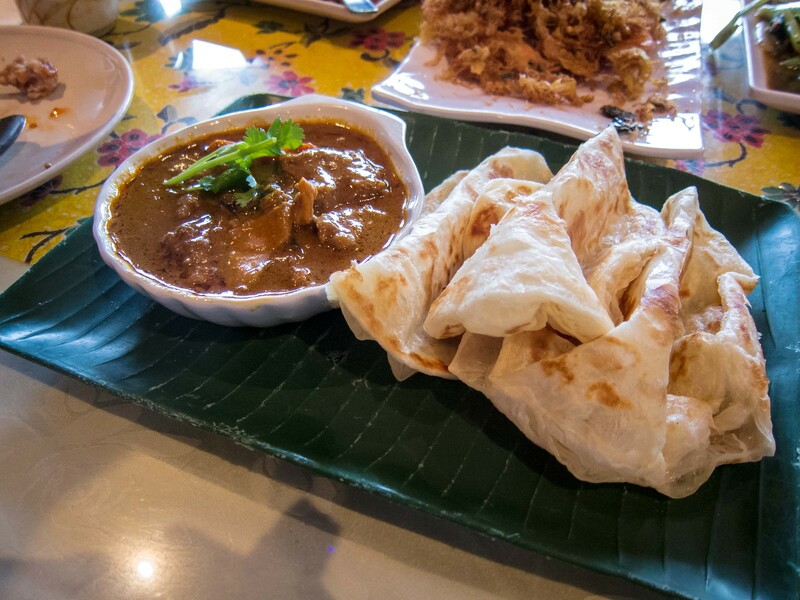 Lastly, a small bowl of spicy Beef Curry with the fluffiest roti I’ve ever had. The roti was flaky, had so many layers and a perfect match for the curry. This was the spiciest dish of the night and it was very good. I would’ve enjoyed every dish at this level of spice. I will second that description of the roti. Might I suggest that next time, you try the seafood scrambled egg chow fun with some kind of crispy noodle on top? Also absolutely delicious. Thanks for the recommendation! I’ll be ordering that next time, sounds delish.